In July this year, I had a chance to visit Tokyo, Japan for business trip for about 5 days. It had no busy schedule but only at night I had my free time, which actually fine because it was summer and the temperature even reached to 30-ish degrees that made me feel like I was just in Jakarta. I went to Japan with one colleague but chose to go alone during free time to have more me-time. I am not particularly good at planning, rarely to make detailed itinerary when traveling, but at least I have kind of vision about places I want to visit. For this chance I decided to visit some book stores. It’s not that hard to find book stores in Japan. I have had visited some small book stores also the big one like Kinokuniya. As for Kinokuniya, I once visited two in Shinjuku and Shibuya. 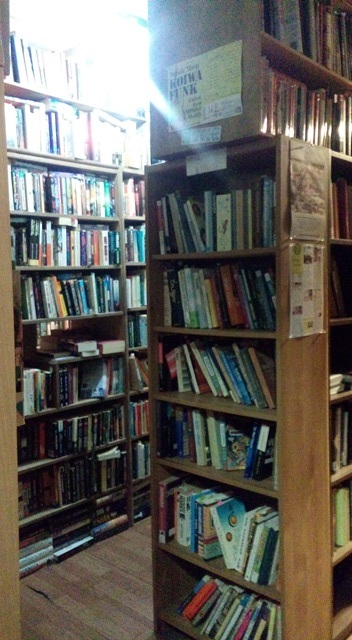 They have wide selection of books but at my knowledge I couldn’t find English books. To feed my curiosity of English books in Japan, I did more searching. And after adjusting my schedule, I managed to visit 3 (+1) book stores in Tokyo. If you google “where to find English books in Japan”, BOOK OFF probably is on no. 1 list. BOOK OFF is a chained book store, provides second-handed books, magazines, mangas, and other reading stuffs, and videos. And I can assure you that THIS IS HEAVEN. Yes most of the items are in Japanese. 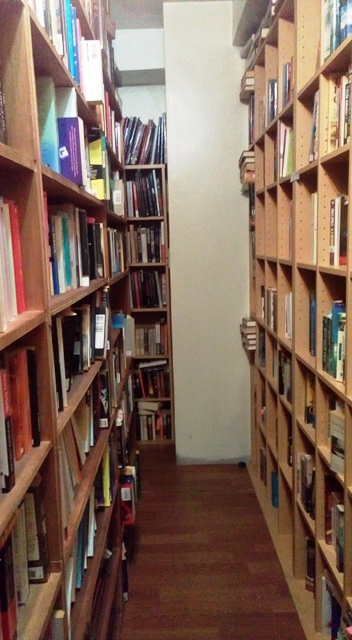 But at the corner, there are shelves with mark written 洋書 (yousho) meaning “Western books”. I went to BOOK OFF Ikebukuro, one near my hotel. Sorry the pictures I took didn’t come out well so please help yourself to google the images. The books condition are prime and the price is ridiculously cheap. I was successfully calming down myself and only bought these two books to complete my collection. Later on I realized that I already have these but it’s okay the books I bought in BOOK OFF have better condition and just costs me Yen 500 or equal to Rp 60,000. 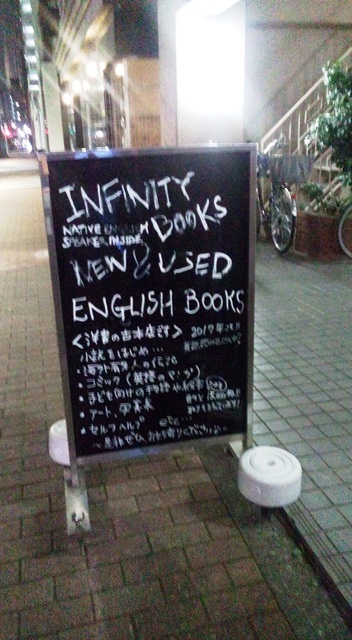 I firstly knew about Infinity Books from the duo The Dusty Sneakers. An old stranger man, old books, indie book stores, could probably become a full set of some book lovers’ fancy imagination. Infinity Books is located in Asakusa, not too far from the famous Kaminarimon and Asahi Beer Hall. From Asakusa station, you just need to walk about 10-15 minutes. You can find the direction from their website (click here). I used Asakusa Line, took Exit A2-a from Asakusa Station and it was already dark, probably around 8 pm (the sun set at about 6.30 pm). I was already drenched in sweat because of running from stations to stations –train stations and lines in Tokyo are no joking!– and worse, Exit A2-a has no escalators nor elevators meaning only stairs! And because I was too tired to look for another exit, I planned to use this exit when I come back from the book stores later. Another thing, although the train still run until about 11 pm, this exit closes at 10pm (I don’t exactly remember; please correct me if I’m wrong) which means I didn’t have much time left. I got problems with my google map but finally found the store after more than 10 minutes walking. It was quite dark, almost no one at the street (I am still amazed by the fact that some parts of Tokyo are very quite at night, moreover it’s Asakusa!). The bell rang when I entered the room, I felt the breeze, and for the first time I enjoyed very much the smell of old books. There sitting unseen from the door were the owner and two women guests. I was very tired and wanted to have some drinks but I just saw bottles of beer so I was just looking around this small store and asked the owner if I could take a picture. I don’t remember precisely what he said but it’s something like “Yes of course but just don’t take mine”. Books are in English; pop, inspirational, dictionaries, encyclopedias. They also have classic books with beautiful hard covers. I felt like I needed to buy books there so I pulled out two from the shelves that costs me…I don’t remember, hahaha.. But I think it was about Yen 500 or so. 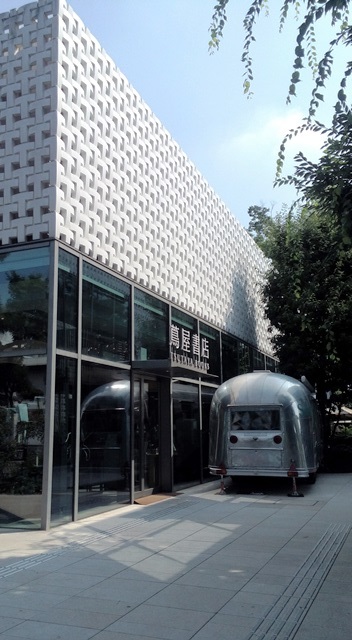 Daikanyama T-SITE is located in Daikanyama area, a nice and chill area that stores around are gallery look-alike. 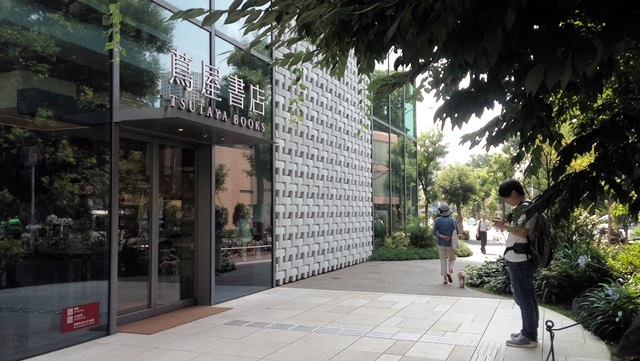 From the information I read here, It is a campus-like complex for Tsutaya, a giant in Japan’s book, music, and movie retail market. Designed by Klein Dytham Architecture (KDa), it has won a string of international plaudits including World’s Best Shopping Centre at the World Architecture Festival 2013 and the Grand Prize at Design For Asia Awards 2013. The book selection is crazy. I said earlier BOOK OFF is a heaven, but Dainkanyama T-Site is more than heaven. I didn’t take the pictures inside because it was forbidden but here I show you some pictures from their website. Sadly all the books I saw are in Japanese but trust me, you won’t really care though. 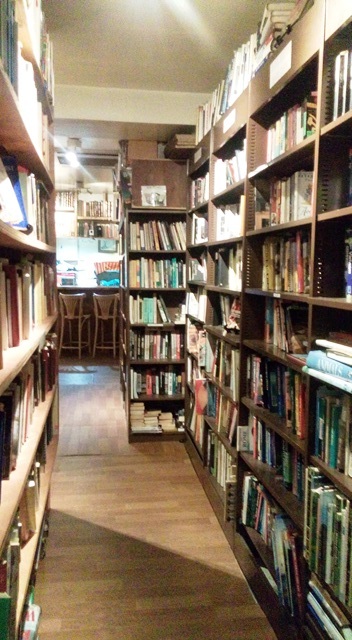 By just sitting, either listening to the audio provided or just looking the pictures inside the books or just staring blankly this art gallery look-alike book store, you won’t never get bored. I almost canceled my plan to visit this book store but happy that somehow I made it before I visited a park in Tokyo. To go to Dainkanyama, I took off at Ebisu Station and walked about 10-15 minutes. It was still in the morning, the sky was clear, and the weather was frickingly hot. Again I was drenched in sweat, furthermore the road to the store is up and down but it’s worth to visit. Mujirushi Ryohin or broadly known as MUJI, is a retail store which offers various items from garment, householding items, even food. But few stores in global have MUJI BOOKS, explained as a space connecting daily living goods and books, proposing various styles of “life with books”. Besides the selling item itself, the display at the store is also interesting. I heard that they have rules to display the items, not just showing so it can be sold (ehm). 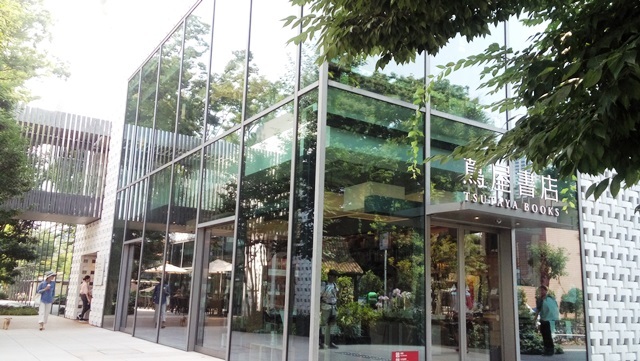 I have visited the stores in Jakarta but it was my first time to visit MUJI stores in Japan. One of the branch in Yurakucho neighborhood has this MUJI BOOKS space. And although ended up not buying anything, I still enjoyed the place a lot. Anyway, above I mentioned about the park. I always want to visit parks/garden in Tokyo because I think they are just beautiful. It was summer and you can’t expect Sakura or red falling leaves or snow (hah!) so the greens are just… green. I went to Inokashira park that takes about 50-60 minutes by train from Ikebukuro. My colleague said I was just crazy to go there, probably because we just had limited time in Tokyo. But how can you resist going to the place like this.